There is nothing quite as exciting as the announcement of a new baby, and when it comes to announcing your new bundle of joy, you will want to make sure things go down with a bang. So many people have done so many announcement ideas these days, it’s hard to find something unique and individual, but we’ve found a few ideas that we think you night really like. We certainly did. 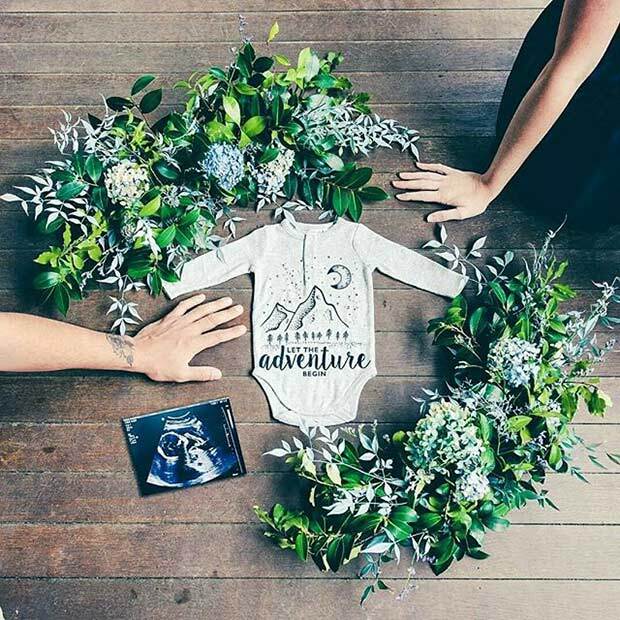 Here are 21 cute and creative pregnancy announcement ideas. 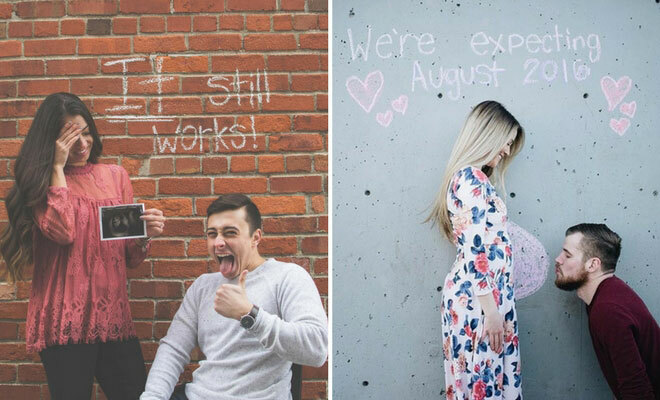 All you need for this announcement is a set of chalks and a blank wall. Do you have a concrete wall in your back yard you could use? Is there an alley near by? Don’t forget, if you’re using chalk, it can easily be washed away, so don’t worry too much about the graffiti factor. Simply stand in front of the chalk-drawn bump, and wrote those magic words above your head. Alternatively, you could add these in a photoshop application afterwards. Those apps are so smart! Mama Bird, Baby Bird – this is a closet choice we definitely want to replicate. 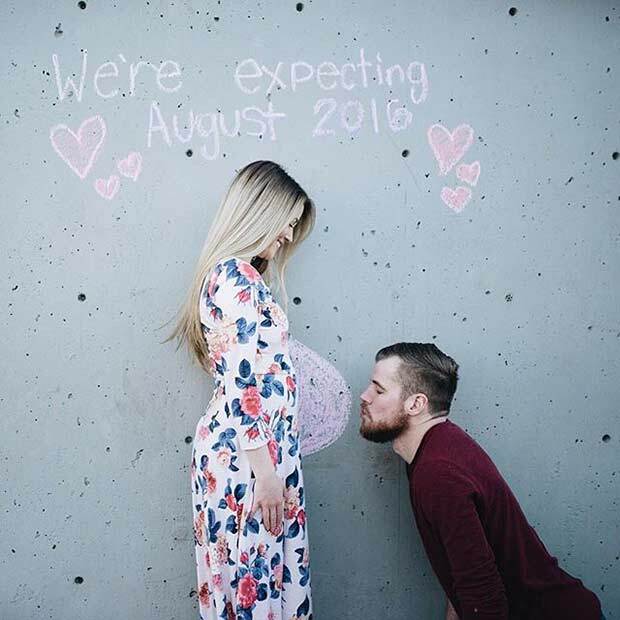 It’s simple and to the point, and includes that classic pregnancy scan that everyone gets super excited about! Just remember, ladies, as soon as you make that announcement, everyone’s going to want to touch your tummy. Let the batting-away-of-hands commence. 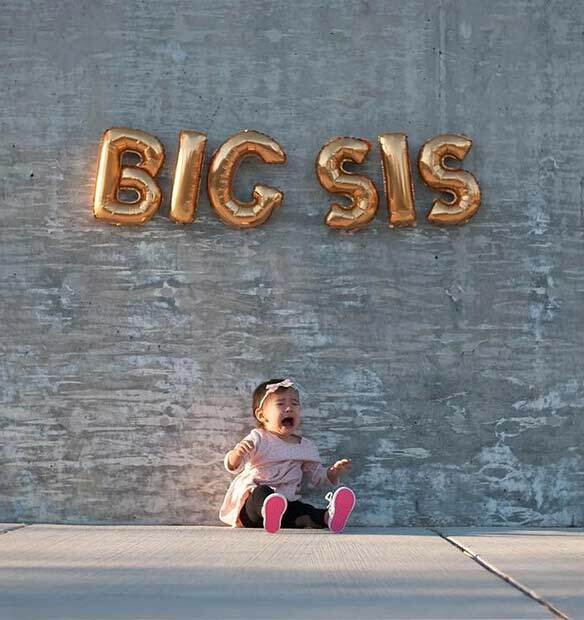 And what better way to announce the joyous news than with the big brother (or sister) in tow. Especially when they look as cute as this big bro, doing things the right way that’s for sure! T-shirts cost next to nothing to have made these days, and you can even buy t-shirts with slogans such as these already made up. If you want a cheap and easy way to announce your big news, this one takes some beating. Shoes, they’re such cool things, aren’t they? They look good, women go nuts for them, even men go nuts for them in today’s modern day and age. 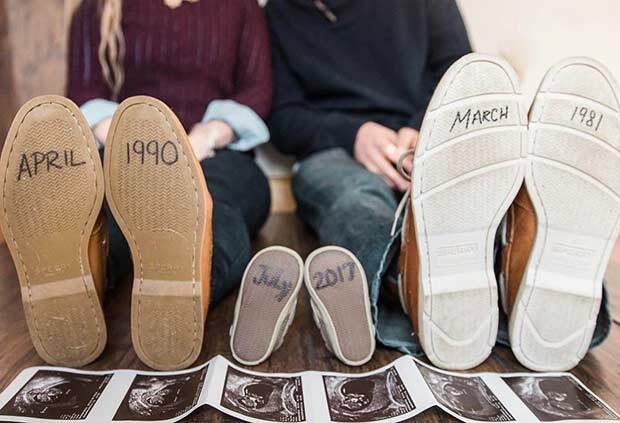 What a great idea to incorporate your love of shoes in with your new pregnancy announcement. And it could all be as simple as grabbing yourself a sharping and having a little doodle. We thin kit’s a blooming marvelous idea, how about you? 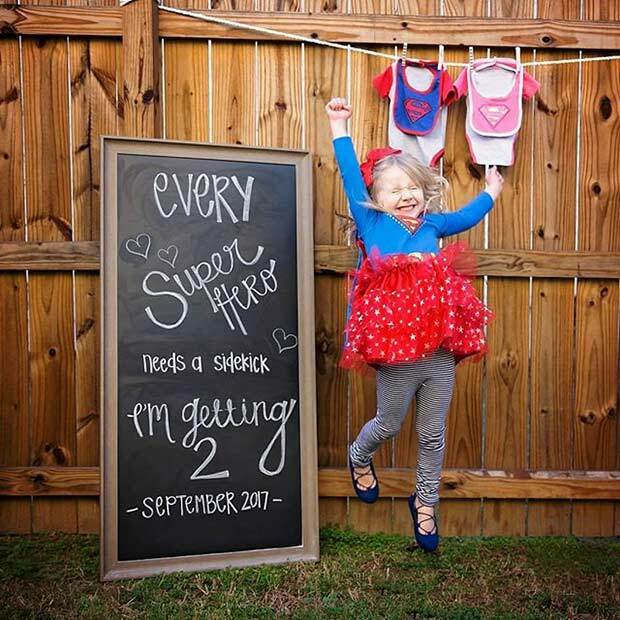 Whether you’re expecting twins or not, you can’t deny that this superhero-themed baby announcement really is the cutest thing ever. First time baby, second baby, 50th, baby, we don’t care, we want to have lots of babies just so we can photograph this moment over and over again. At least this one isn’t crying. Perhaps a superhero sidekick isn’t so bad? 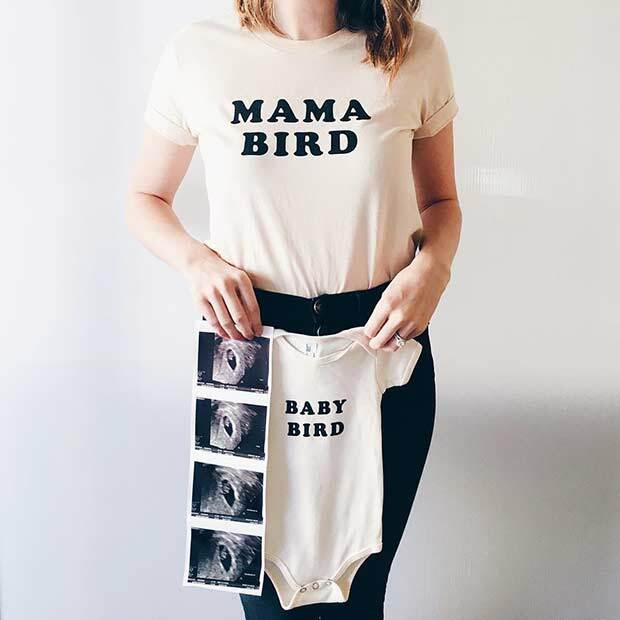 Are you looking for a very simple and stylish way to announce the good news? 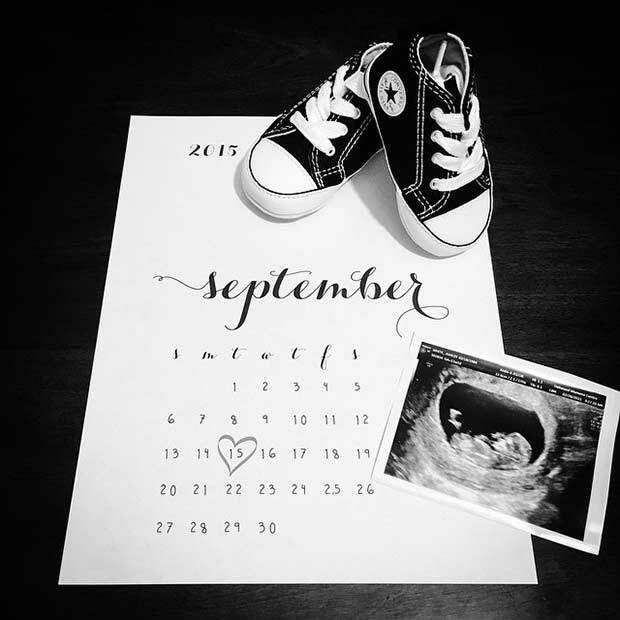 What better way than with super fashionable baby Converse sneakers, combined with a pregnancy scan, and a small print-out that reveals the good news. If you don’t have chalks, balloons, or a wall to post in front of, a simple calendar announcement will do just the trick. Sometimes it pays to go back to the basics. 8. Let the Adventure Begin! If you aren’t ready to face people, and that constant barrage of questions, don’t tell people yet. 12 weeks is the minimum point to pass before you start shouting about your news, but that doesn’t mean you need to do it just then. Take the time to process this news, because it really is big news, before you start inviting everyone else in. Because you know what everyone else has – an opinion, and this really is a big adventure. Speaking of family and friends, remember that everyone is on the internet these days, so if a certain grandmother on the other side of the world doesn’t know about the new baby, and you’d rather spill the beans than let someone else let her know, it’s probably a good idea to wait a little longer. News on the internet really does travel super fast! It’s crazy how fast! 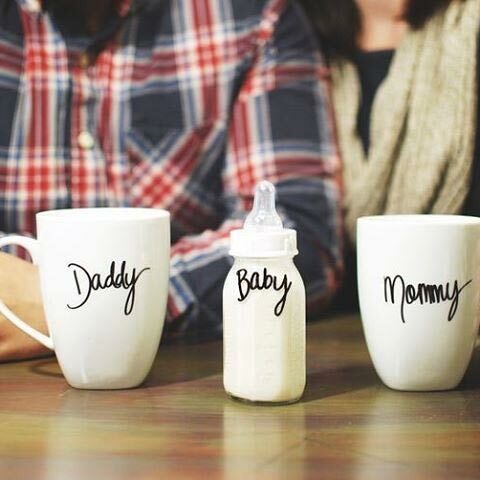 If Mommy likes tea, and Daddy likes coffee, we can’t think of a better way to reveal some very big news. 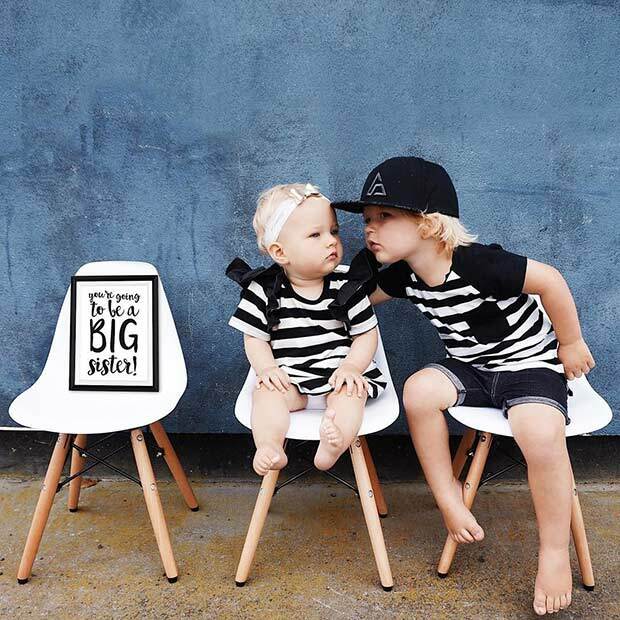 Plus, cute and creative pregnancy announcement ideas like this are cheap, easy and have a big impact because of those two things. It’s another of those smart ideas that helps to take things back to basics. Something sweet is definitely brewing, and we can’t wait to meet it.